The Supreme Court is the apex court in The UK. It was established by the Constitutional Reforms Act of 2005. Before the establishment of the court, the House of Lords, also known as the Supreme Court of Appeals was the highest court in the United Kingdom. The Supreme Court was established with the primary aim of separating the highest court of appeals from the Parliament of the United Kingdom. Below are some important things you should know about The UK Supreme Court as explained by our expert law tutor in London. The UK Supreme Court has a number of functions. For instance, it serves as the final court of appeals for criminal cases from Northern Island, Wales, and England. It also serves as the last court of appeals for civil cases in the United Kingdom. The Supreme Court deals with matters of great public and constitutional importance. For example, it hears appeals on contentious points of law attracting significant public concern. Although The UK Supreme Court deals with appeals from courts of England and Wales, it is legally separate from these courts since it is also the Supreme Court of Northern Island and Scotland. As such, it does not fall within the remits of the Lord Chief Justice of England and Wales. Overall, it is apparent that the Supreme Court occupies an important position in The UK’s legal system. 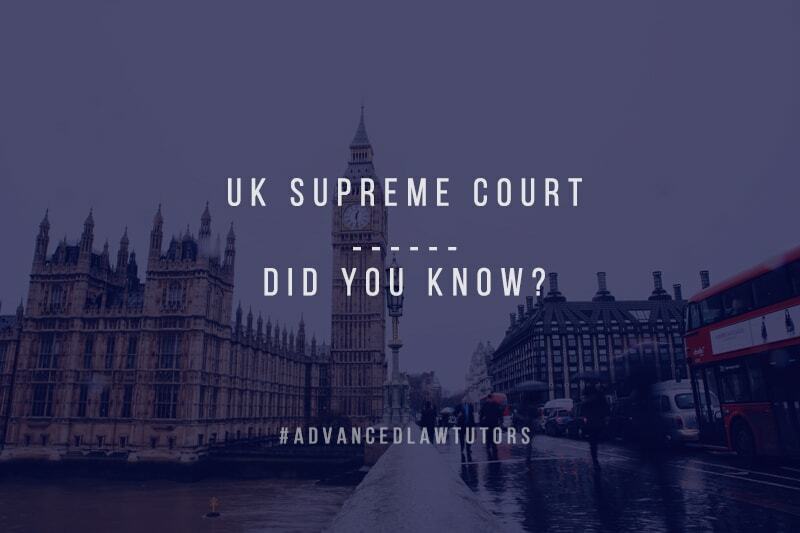 If you would like to learn more about the Supreme Court, Advanced Law Tutors can help you. We have experienced law tutors in London who are committed to the highest standards of professionalism, and they will provide you with all the assistance that you may need.